Friday and that means football. Cardiff and Wolves are doing the honours by battling it out to secure vital points. Cardiff have had a bad start to the season really, as they find themselves 19th in the league and aren’t looking like they will really cause any headlines this season, but a win against Brighton two weeks ago might have given them some confidence, well have to wait and see. Wolves were doing ok in the league until last week where they lost 2-0 to HUDDERSFIELD at HOME!! This was embarrassing for the club who look a serious European contender. In summary, I think this game will be a strong contest but I feel after Wolves humiliation last week the manager will have made sure it does not happen again and I think they will come out all guns blazing. This game sees a top of the table clash in the championship as the Blades take on the Peacocks. The Blades have been in good form recently with one win and two draws in their last three and they find themselves in 4th place. With Striker Billy Sharp producing the goods this season scoring ten in the competition, he is such a danger in the forward line and really can do damage. On the other hand, Leeds have been flying in the league winning their last two games and looking a slick outfit. Bielsa’s methods have certainly worked and one man thriving under them is Kemar Roofe who has scored eight and assisted two and is simply a class player. For me I see Leeds winning this one as I feel in general they are the stronger side. How is it that Man United can win against Juventus away and yet draw to Crystal Palace at home in the league and not only this but Fellaini is like a cheat code for Mourinho as he just chucks him on against Young Boys and they get a 90th-minute winner, their situation is simply bizarre. Anyway United head down south to St Mary’s to hopefully pick up some form in the Premier League. Southampton have a decent attack with Charlie Adams and Redmond but let’s be honest their efforts aren’t going to matter as David de Gea is just unbelievable, the man can’t be stopped. Southampton also haven’t won in their last 5 and I think United will win this one as not only do they have a class keeper but Pogba is also a top midfielder on his day and just looks to be regaining his confidence. Look out opposing teams. It’s the best derby in the country and it’s going to be a cracking game full of passion and fireworks. Both sides are going into this one unbeaten in their last five and it will be a cracker. Arsenal are unbeaten in 17 games and are looking like they are starting to gel under Unai Emery’s new system. 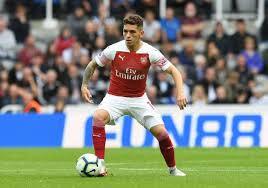 For me, I again have to bring up Lucas Torreira who is just fantastic in the middle of the park and with 2 man of the matches in 3 games I think he is showing his worth in this Arsenal side. Tottenham, on the other hand, have won their last five and are playing some quality football and they just look like an accomplished side who really should start winning some trophies soon. Overall I think with Derby’s, form goes out the window and its about who wants to win more and for me, I think it will be Arsenal as they did it last season at home and I think they will do it again. Game Changers: Aubameyang, Torreira, Kane and Erikson. Back Arsenal to win at 7/5 with SkyBet. Same day and another of the leagues best derby’s as the Redmen take on the Toffies at Anfield. Liverpool have been impressive in the league this season winning their last two games and looking class. Salah has obviously been scoring for fun and has got 7 goals and 3 assists this season, as well as this Mane, has also been in fine form for the Reds scoring 6 and assisting 1 and Liverpool’s attack will be an incredibly scary prospect for the Everton defence. On the other hand, Everton have been playing well winning 3 of their last 5 and drawing and losing respectively. Sigurdsson has scored six and assisted two and with Richarlison getting in behind going forward Everton looks good. Most notably, Pickford is a fine shot stopper and a giant for England recently in the Uefa Nations league and he is just a quality player. I think that this game will be action packed but will have little goals as previous derbies show they are tight contests. Game Changers: Mane, Salah, Sigurdsson and Pickford. Monday Night football sees a championship game for the first time in a while and hopefully it won’t disappoint. West Brom have won their last two games, especially a big 4-1 win over Leeds and they could easily continue this great form into the next game. West Broms top scorers Gayle and Rodriguez have been playing superbly notching up 18 goals and 3 assists between them and this should see a shaky Brentford defence be under some serious threat. Speaking of Brentford top scorer for the league Neal Maupay has got 13 goals and 6 assists and is playing some sublime football, however the rest of the team are struggling to get themselves together and their results have suffered from this as they have lost their last three games. I think West Brom will easily win this one and get some vital points for their title ambitions. Back West Brom to win at evens with 888 sport.